We all have limited time. We all have the same amount of time in a day to redeem. When we are stressed by “limited time” we’re actually dealing with how we feel about what we do, or want to do, with the time we have. We often end up with negative thoughts, wishing we had more time to do the things we want, or need, to do. However, maybe we need to consider some of the blessings of limited time. We have a valid reason to say “No, thank you” to some things. 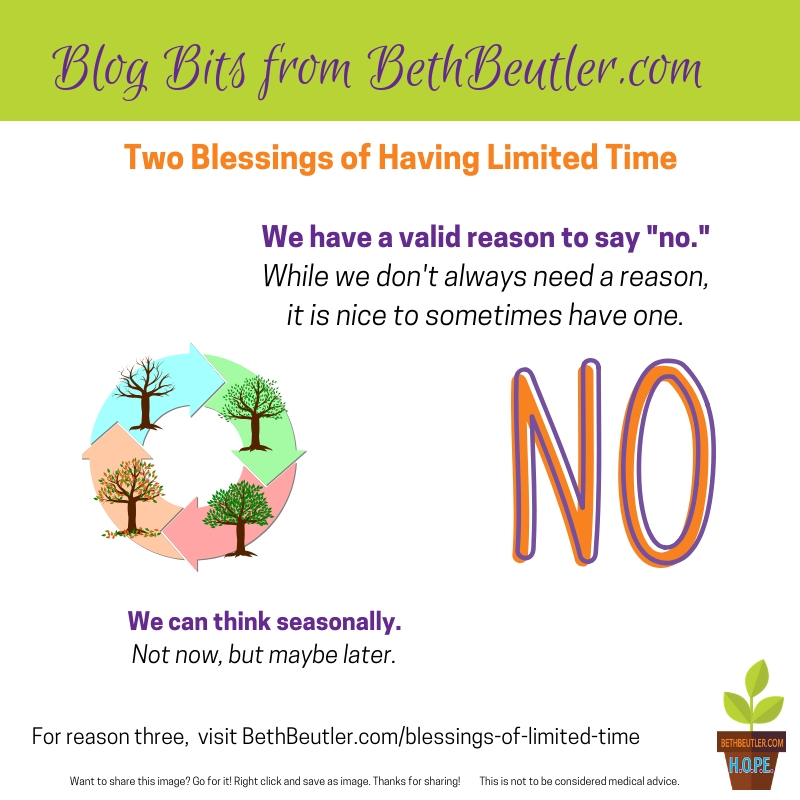 I’m learning that you don’t need excuses to say no, but it is sometimes helpful to realize that limited time and energy may mean taking on that new project is not a good idea. And, it may be a more courteous way to tell someone you aren’t available. We can become more motivated. If you sign up to participate in a 5K in three months, you have limited time to train. You are likely going to focus some of your time on the priority of getting in better shape. The limited time can be a motivation. For example, maybe your time personal time is limited because of a certain seasonal project you are part of at work. This doesn’t mean you will always be running at that pace, but you can mentally lean into that busier season knowing it will slow down in the future. (Note, if it never slows down, that’s a topic for another day.) Some of HOPE’s clients are busier in the summer than later in the year. It just depends on their industry and audience. We have to adjust accordingly in our support. How about you? 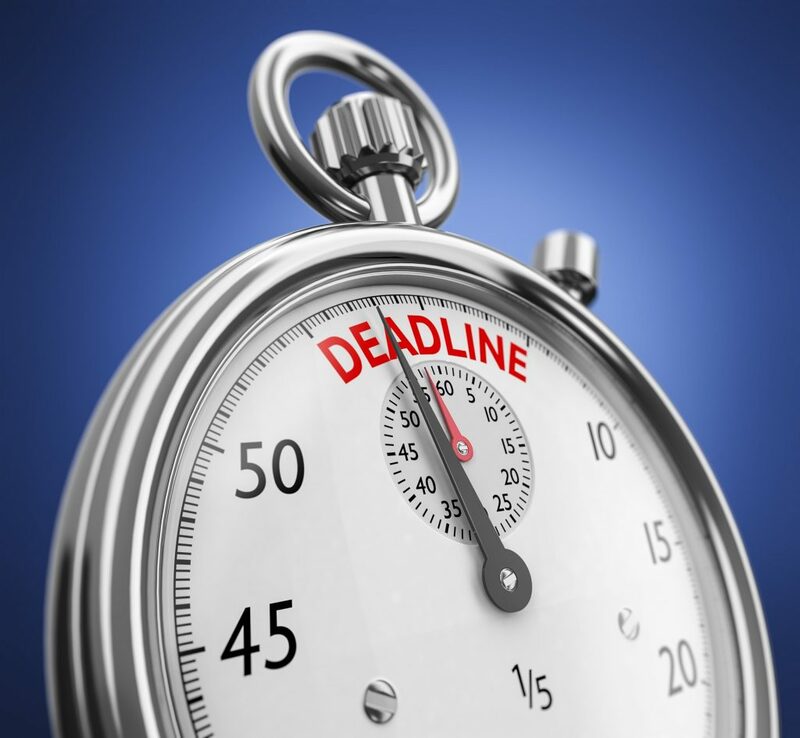 Do you get frustrated by limited time, or does the boundary it forms help you? Let me know what you think!